As Tim McGraw‘s “Meanwhile Back at Mama’s,” featuring wife Faith Hill, jumps 11-7 on Billboard’s Hot Country Songs chart, each artist celebrates notable achievements. McGraw notches his landmark 50th top 10, a mark that only five other acts have achieved. 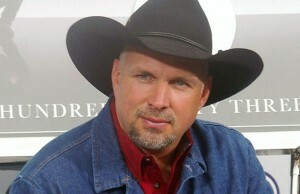 Dating to his first week in the upper region more than 20 years ago (“Indian Outlaw” flew 14-9 on March 26, 1994), he widens his lead for the most top 10s among all acts, distancing himself further from runner-up George Strait, who’s totaled 47 top 10s in that span. Since Oct. 20, 1958, when Billboard’s various country songs charts merged into one all-inclusive list, Strait leads with 86 top 10s; McGraw ranks sixth.